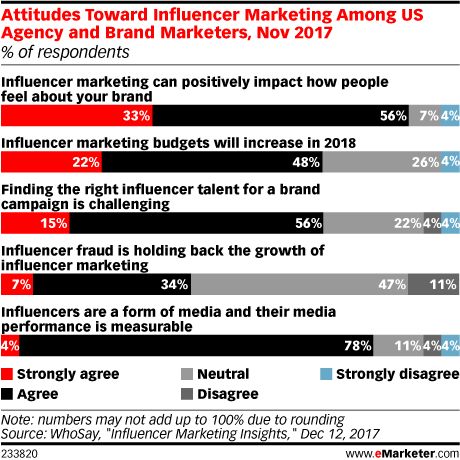 Data is from the December 2017 WhoSay report titled "Influencer Marketing Insights." 270 US agency and brand marketers were surveyed during September 5-November 17, 2017. Respondents identified their company as an advertising agency (44%), brand (7%), publisher (4%), technology provider (11%) and other (30%). WhoSay is an influencer marketing company.